This has been a pretty lousy day. I haven't even felt up to posting here at CatSynth. 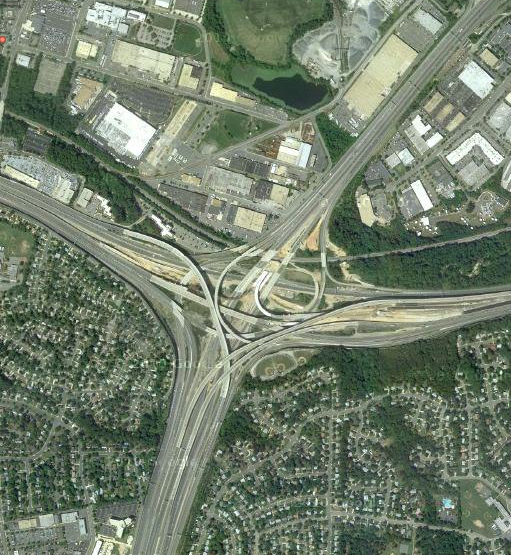 So when all else fails, a “fun with highways” post is usually in order. Tonight, in a collision of nostalgia and highway enthusiasm, we visit New Haven, home of my alma mater Yale University. In order to get there, one generally uses highway 34, either from the north where it's the surface street Derby Ave. that goes by the Yale Bowl, or from the south as the Richard C. Lee Connector, a short freeway connecting I-95 and I-91 to downtown New Haven. From I-95 (lower left to center right), 34 is the freeway in the upper left heading towards the downtown. However, the highway ends pretty abruptly after three exits at a parking garage, known as the “Air Rights Garage” (hey, we don't make this stuff up), near Yale-New Haven Hospital. Seems rather odd that four-lane Route 34 ends under a parking garage in downtown New Haven. Did that building get dropped there by a UFO or something? The (Oak Street) Connector is by far the greatest scar on the face of New Haven. Between Frontage Road and Legion Avenue, north of the official highway, you can still imagine ghosts of neighborhoods that were demolished to make way for the Connector. The older trees that used to line the long-gone streets are still there, now marching solemnly across the median, indicating the old streets' paths. The old roads, interrupted by the violent swath of the connector, remind us of this urban mistake. Aesthetic issues aside, this is probably the least of New Haven's problems. 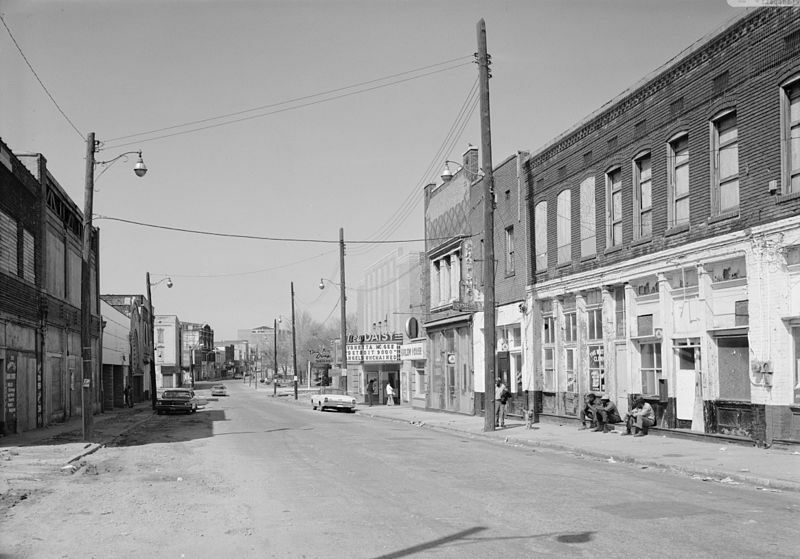 When I arrived in 1991, the town had a rather nasty reputation for areas of poverty (particularly in the south and west) and violent crime. I always thought it got a worse rap than it deserved, and things did improve somewhat in the 1990s. Overall, very little has changed about the town and its geography, demographics and infrastructure, and a lot of things at least looked the same when I returned for a visit in 2005. The notable exceptions included the commercial area on Broadway and York Street near Stiles College, where I lived while at Yale, and the campus itself (which finally seemed to have brought the insides of its buildings up to modern standards).